It's Invisible, it's a new song, it's raising funds for (RED) to fight AIDS and you can download from iTunes. Downloaded it already? Tell us what you think in the comments below. I can't get enough of the song! if this is any indication of the new album I CAN'T WAIT! It's been a week since I've heard it last, and like much of U2's music, it has incredible power to grow on me. Invisible sounded great from the get-go, but now a week later, many of my earlier reservations have widdled away, leaving me only with a sense of WOW!, great job: these boys know what they're doing! They have managed to do it again it was worth the wait. With "INVISBLE" they found Greatness once again! Haunting Invocative Lyrically Brilliant ( I didn't even want the heart you broke its yours to keep you just might need one) leaves you speechless and a sound that is at once Current and relevant with a slight teasing throwback to the sound of the eighties is completely happening! A blend of electronics and instruments that really works one enhancing the other. 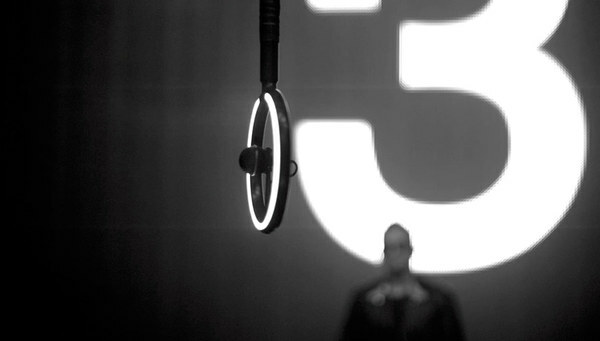 The Raw Beauty and Energy of Bono in full voice brings it all together confronting you and lifting you up all at once. The have hit the target in the center the hit the major artery " They finally Found Their Real Name" once again! This a great song well done U2 "THERE IS NO THEM - THERE'S ONLY US!!!! can really hear that Joy Division influence - I know you guys worked with Martin Hannett on the original 11 o'clock Tick Tock single…. so it is great to see you dig deep and bring back some of those original sounds you guys helped define in post-punk music from the 80's. Once again, U2 dedicated an emotional song to a good cause like raising money for life-saving medicine. I´m very happy to hear a new piece of music full of passion, love, intensity and powerful melodies. Like many other U2 tracks, Invisible remains beautifully vague in lyrical terms, offering listeners enough space to think about some interpretations. For me some words could deal with Bono´s relationship to his father, expressing a feeling of self-confidence as we hear "I am not invisible". I particulary love the lines about frozen ways melting away, possibly giving a hint of forgiveness and healing. I look forward to hearing some great new U2 material and a new album! I like it. Ordinary Love was a (positive) suprise to me. This track reminds me of a Beautiful day. Still hope we will find some heavier tunes like Even better than the real thing or Vertigo. Good luck with album works! A Taste Of Joy Division. Great!! I love Invisible, it has a post-punk rhythm and atmosphere, like Joy Division. The powerful chorus is addictive. Can't stop listening to the song again and again! Tremendous song! PD Can't wait for the new album(s). I want to hear studio versions of North Star, Every Breaking Wave, Glastonbury, Mercy, Return Of The Stingray Guitar and Boy Falls From The Sky. "I Can't Wait Any Longer..." Please!! Don't make songs to be relevant, just stick to your strengths and basics. Invisible is not bad, but does not grab me the way Ordinary Love did. Hope for better on new album. We need U2 in pure state. Not a bad song, it sounds good and powerfull, but it is Still not pure U2. We need you in pure state, awaiting for the new album, i am sure you will not dissapoint us. Thanks!! The lyrics really hit me...personal and real. "I'm more than you see, I'm more than you know, I'm more than you let me be...." There are so many people who feel invisible, but none of us are. We are all important. Thanks, U2, for writing a great tune with awesome lyrics! Love the song, and love U2! Stylings of verses and chorus so similar to Beautiful Day, City of Blinding Lights, etc. Looking forward to the punk sounds that are described in interview w/ Bono. Love it,looking forward to the New album. I Love Invisible!!! can't wait for the full version... thank you! Im singing it too going down the street, in the mornings!everywhere! I bought it as well as the RED download because i think the cause is amazing and we can make a difference. I was in the shower today and found myself singing, "there is no them, there is no them, there's only us." Downloaded and really enjoyed this new U2 track. It reminds me of Beautiful Day, but not quite as operatic if you know what I mean. The chorus doesn't belt it out quite as much. But can't wait for the tabs to appear on Ultimate Guitar, this is one I'll be learning to increase my U2 repertoire!! how U2 is capable to reinvent the most simple chords into a new piece of music that sounds from a different planet. I follow you guys now for 25 years. It started on a school trip to South Switzerland, when a friend of me plugged the earphones of his walkman into my ears and told me: Listen to this and you will never listen again to Scorpions or Toten Hosen :-)! It was the Joshua Tree album! From that moment on i was hooked. Your music is part of my life. Great job! I will never forget hearing "The Fly" for the first time on the radio in 1991 or seeing the "New Years Day" video for the first time on MTV in 1983. A 16-year-old boy was hooked for good upon seeing NYD and experiencing this wonderful new sound, new to him anyway. At 24, he was awestruck with The Fly and every second of the magical turn for U2 that was Achtung Baby. Invisible immediately evoked those same feelings of excitement in this now 46-year-old man - made me feel 16 again. Can't wait to hear what comes next!! Like all great art, the meaning touches and heals the soul of the individual beholder. "You can't see me, but you will - I AM not invisible, I AM here" This song is all that I need it to be, in my time of need. SELAH! Purrrrrr Purrrrr Purrrrrrrfect! XOXO & Muah! Nice song but are those electronic drums? They don't sound 'organic'. Not sure I like that bit. Otherwise it's a nice song. Ordinary Love blows it away though. THAT song is brilliant. Great song.. love it! Might just be me but a bit of an 80's feel. But not U2 in the 80's!.. Its great when they throw something new out.